At this point, Peeps are pretty synonymous with Easter—in fact, the chick- and bunny-shaped marshmallow treats came out with several new flavors this year to celebrate the holiday, including “Pancakes & Syrup,” cotton candy, and orange sherbet dipped in crème-flavored fudge. But outside the candy basket sphere, there’s a very creative way people are using them—a contest for science-themed dioramas, reports Vox. Yes, you read that correctly. The “Peeple’s Choice Awards” contest, sponsored by The Open Notebook (a science journalism non-profit), showcases Peeps in various dioramas—we’re having major middle school science flashbacks—modeled on different scientific events and concepts, ranging from a mock “Nobel Peep Prize” ceremony to an anatomy lesson (complete with a Peeps cadaver) by “Rembrandt Van Peep.” Each diorama is displayed on The Open Notebook’s site, where people can vote for their favorites—50 dioramas total were submitted, in what’s touted to be the first contest of its kind. 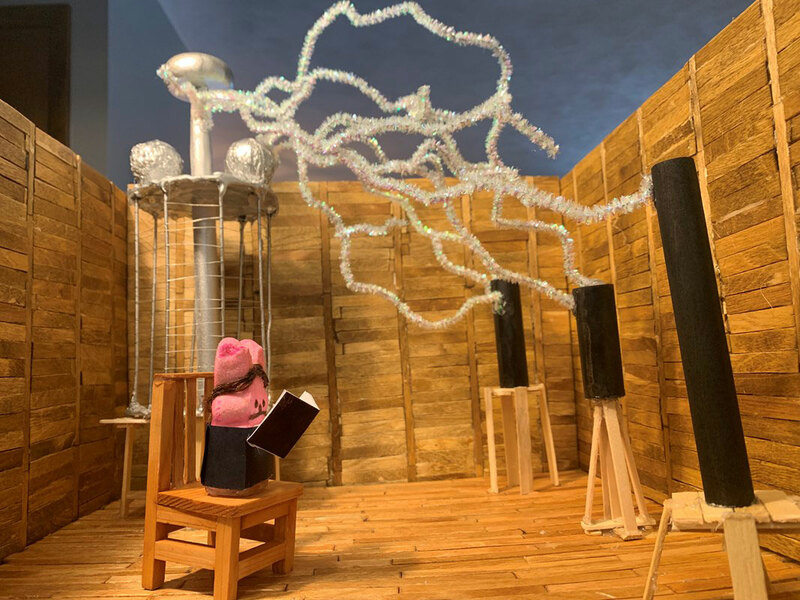 If you’re (understandably) wondering how this concept came about, it was created by Joanna Church, Helen Fields, and Kate Ramsayer—award-winning Peeps diorama makers (you might recognize this Hamilton one) who used to submit to the Washington Post’s (now defunct) own Peeps diorama contest. Now, they have a contest of their own, with delightful results. The entries are pretty diverse—one contestant recreated the Grand Canyon (sorry, Graham Canyon) with Peeps and graham crackers, and had a Peep modeled as explorer and geologist John Wesley (“Peepsly," for these purposes) Powell making his way through the canyon on a boat with some marshmallow bunny friends. Another focuses on “Dmitri Mendelpeep” dreaming about an early version of the periodic table, and it’s pretty elaborate. 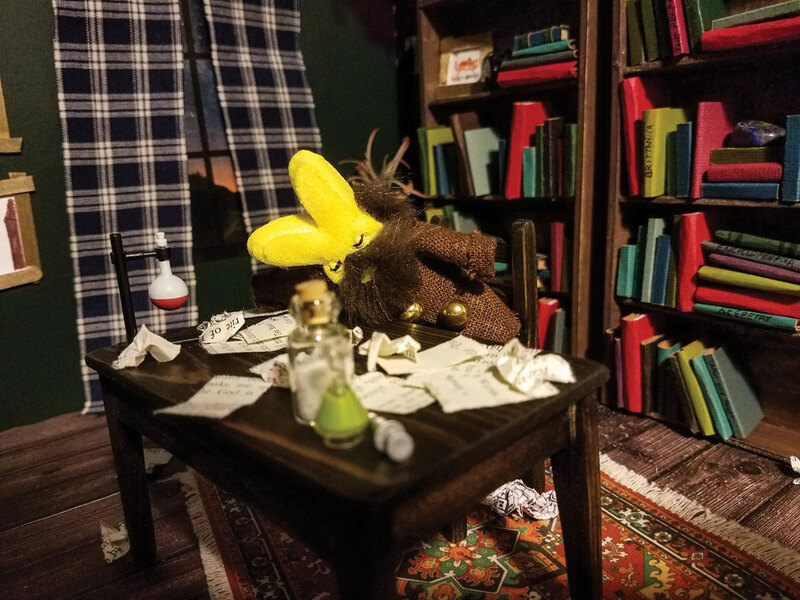 The bunny Peep is outfitted in a robe and beard, there’s a fully stocked bookshelf behind him and papers littered on his desk, and a dream cloud—complete with mysterious question mark Peeps floating around—hovers over his head. 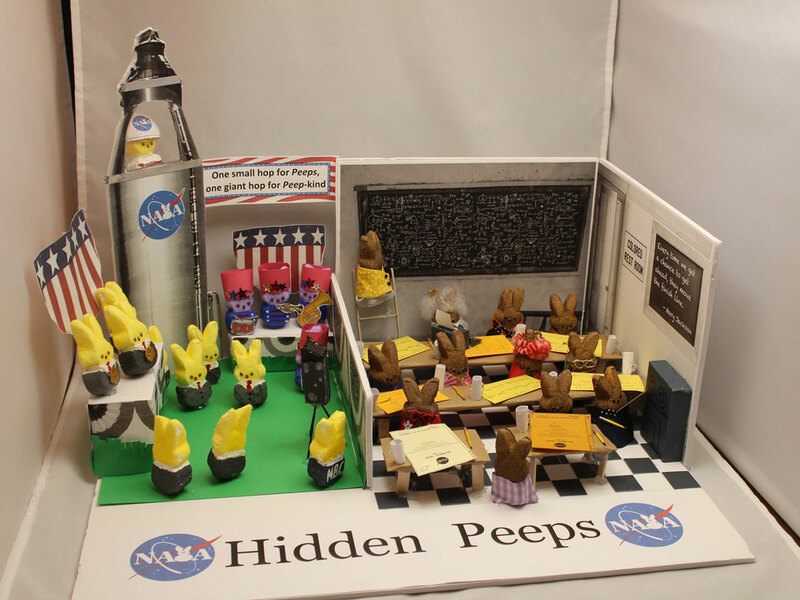 Make sure you check out the “Hidden Peeps” (aka Hidden Figures), “Peepola Tesla,” and “Schrödinger's Peep,” too—the latter got a lot of giggles.